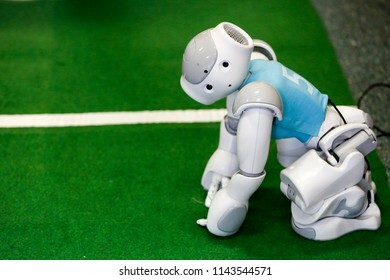 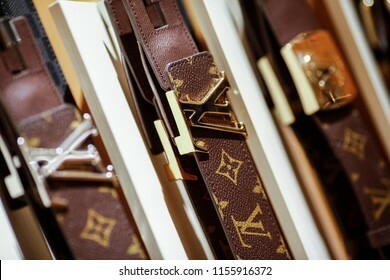 850 stock photos, vectors, and illustrations are available royalty-free. 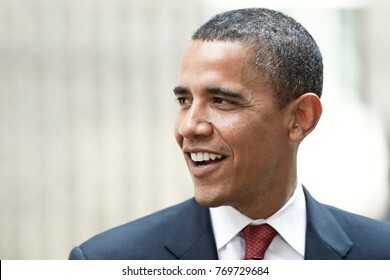 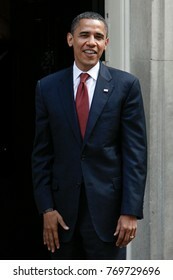 LONDON, UNITED KINGDOM- 26 JULY 2008: U.S. Democratic presidential candidate Senator Barack Obama smiles during an event in London. 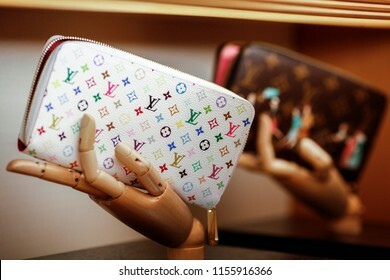 Rome, Italy - January 27 2012: Louis Vuitton goods sit on display inside the company's new "Etoile" store, operated by LVMH Moet Hennessy Louis Vuitton SA, in a former cinema in Rome. 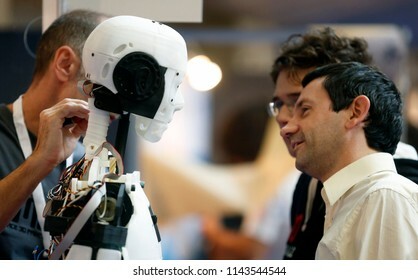 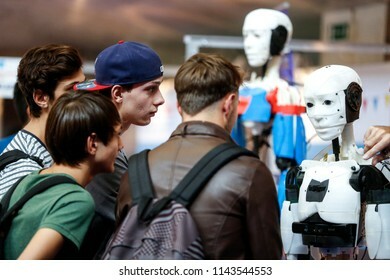 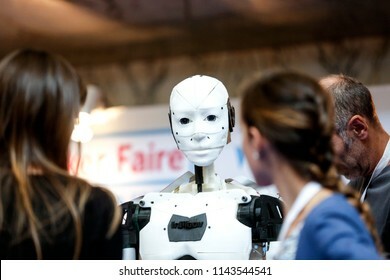 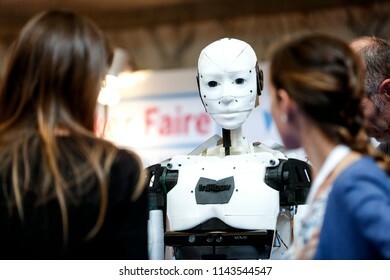 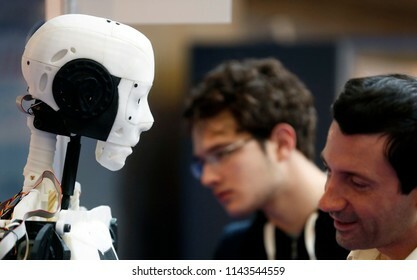 Rome, Italy - October 04 2013: Visitors look at voice activated InMoov robots, made from 3-D printed parts, stand on display during the Maker Faire in Rome. 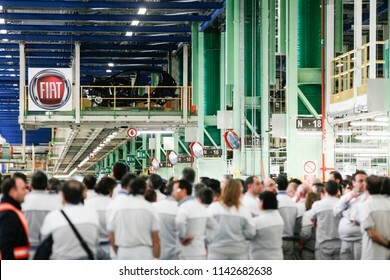 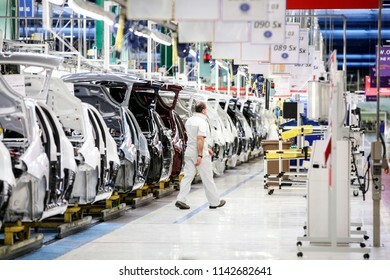 Melfi, Italy - December 20 2012: Employees assemble Punto automobiles as they travel along the production line at the Fiat SpA plant in Melfi. 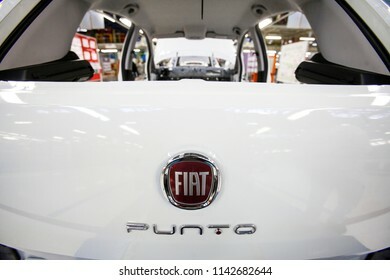 Melfi, Italy - December 20 2012: A Fiat Punto automobile stands next to a logo during assembly at the Fiat SpA plant in Melfi. 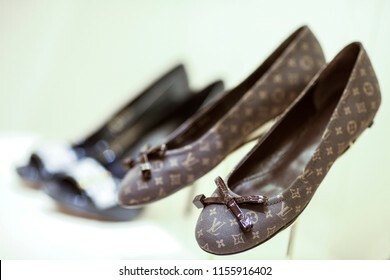 Rome, Italy - January 27 2012: Louis Vuitton-branded shoes sit on display inside the company's new "Etoile" store, operated by LVMH Moet Hennessy Louis Vuitton SA, in a former cinema in Rome. 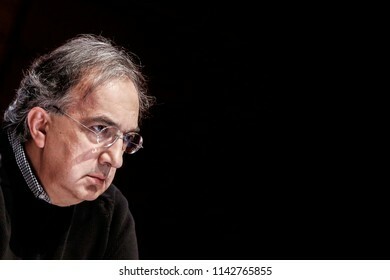 Turin, Italy - August 01 2014: Sergio Marchionne, chief executive officer of Fiat Chrysler Automobiles NV, speaks during a news conference following an annual general meeting in Turin, Italy. 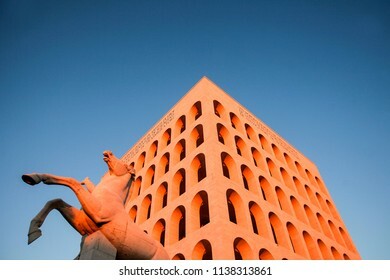 ROME, ITALY - JANUARY 26, 2012: The Palazzo della Civilta' del Lavoro, also known as Colosseo quadrato (Square Colosseum), standing at sunset in the EUR financial district in Rome. 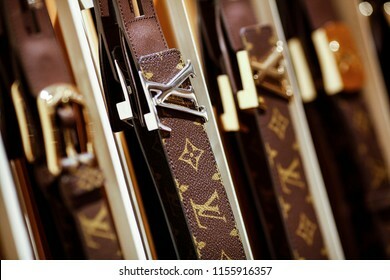 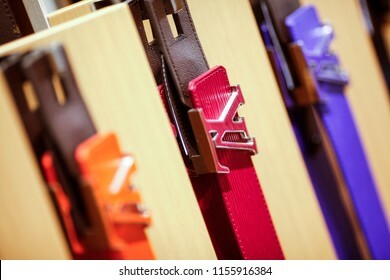 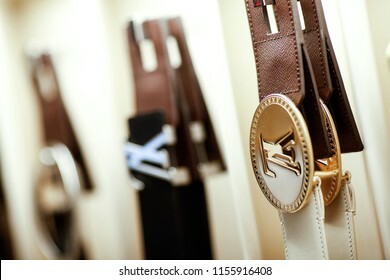 Rome, Italy - January 27 2012: belts with "LV" logo buckles sit on display inside the new Louis Vuitton "Etoile" store, operated by LVMH Moet Hennessy Louis Vuitton SA, in a former cinema in Rome. 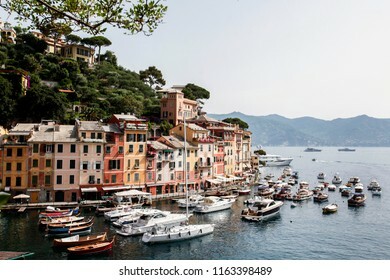 Portofino, Italy - June 30 2012: Boats and yachts sit moored in the marina in front of seafront restaurants and bars in Portofino. 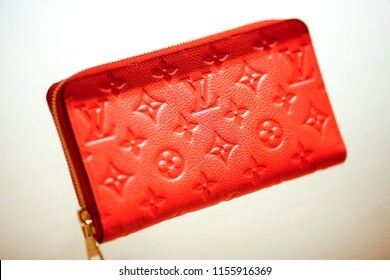 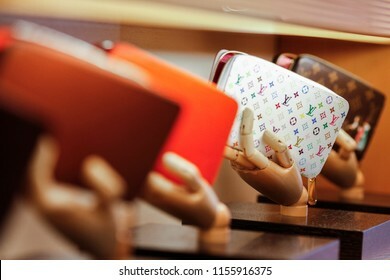 Rome, Italy - January 27 2012: Louis Vuitton wallets sit on display inside the company's new "Etoile" store, operated by LVMH Moet Hennessy Louis Vuitton SA, in a former cinema in Rome. 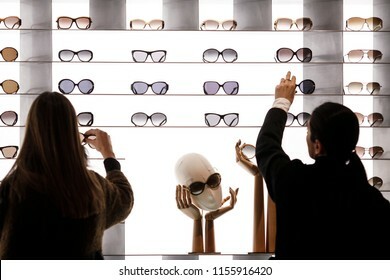 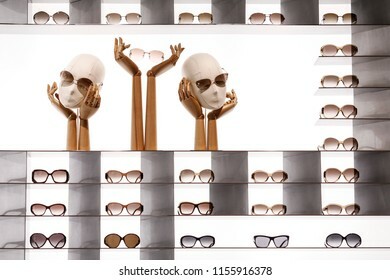 Rome, Italy - January 27 2012: Louis Vuitton sunglasses sit on display inside the company's new "Etoile" store, operated by LVMH Moet Hennessy Louis Vuitton SA, in a former cinema in Rome. 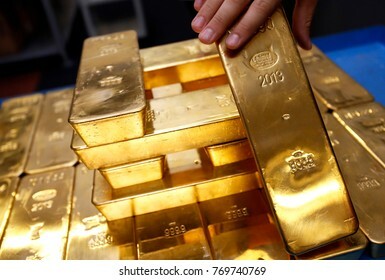 AREZZO, ITALY- 19 JULY 2013: Gold bars are seen at a precious metals refinery plant. 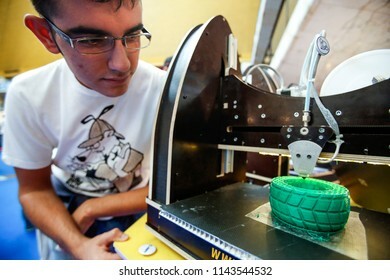 Rome, Italy - October 04 2013: A visitor watches as a PowerWASP 3-D printer prints a tyre during the Maker Faire in Rome. 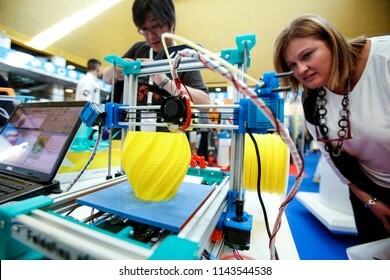 Rome, Italy - October 04 2013: Visitors watch as a FoldaRap 3-D printer prints a hollow item during the Maker Faire in Rome. 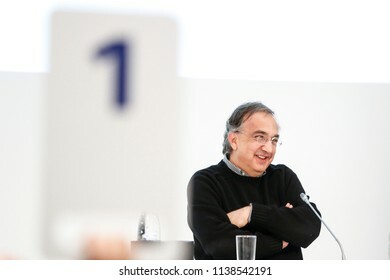 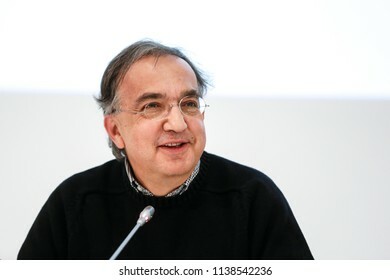 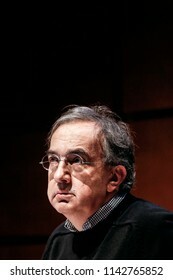 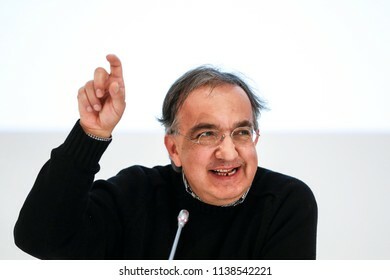 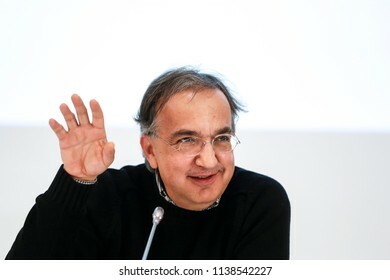 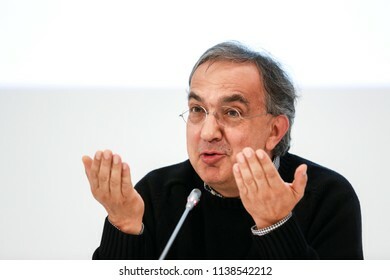 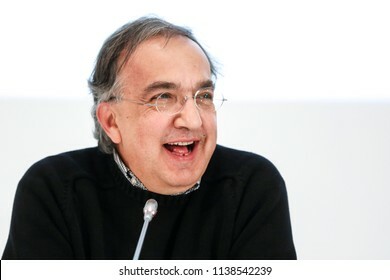 Turin, Italy - August 01 2014: Sergio Marchionne, chief executive officer of Fiat SpA and Chrysler Group LLC, attends the company's annual general meeting in Turin. 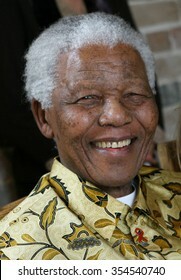 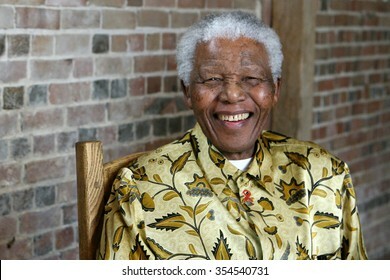 LONDON, UNITED KINGDOM- 24 MAY 2006: Late South African president Nelson Mandela smiles as he poses for a portrait in London. 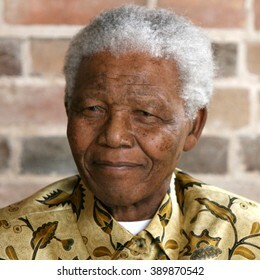 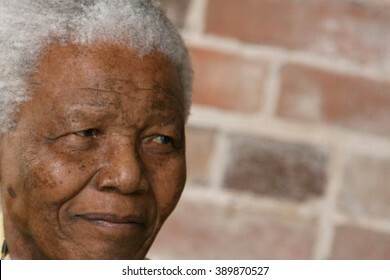 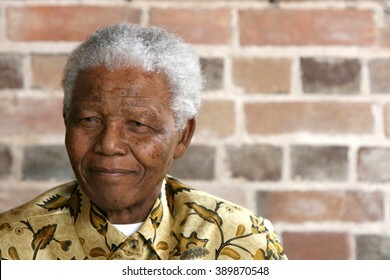 LONDON, UNITED KINGDOM- 24 MAY 2006: Late South African president Nelson Mandela looks on as he poses for a portrait during an event in London. 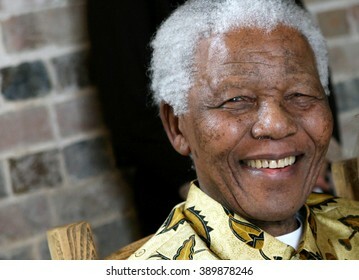 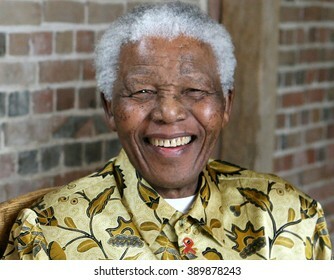 LONDON, UNITED KINGDOM- 24 MAY 2006: Late South African president Nelson Mandela smiles as he poses for a portrait during an event in London. 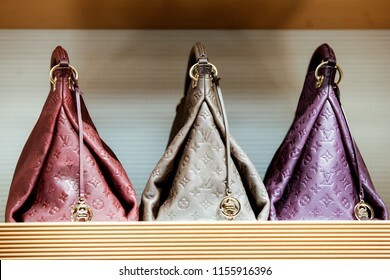 Rome, Italy - January 27 2012: Louis Vuitton bags sit on display inside the company's new "Etoile" store, operated by LVMH Moet Hennessy Louis Vuitton SA, in a former cinema in Rome. 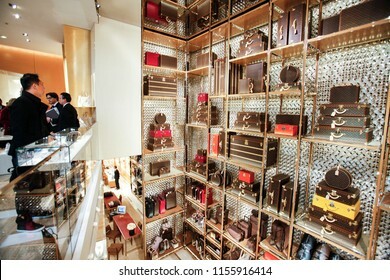 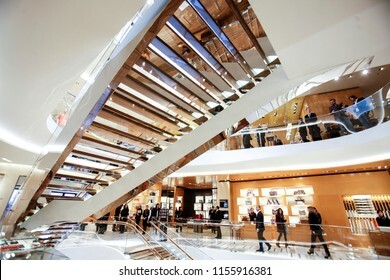 Rome, Italy - January 27 2012: The interior of the new Louis Vuitton "Etoile" store, operated by LVMH Moet Hennessy Louis Vuitton SA, in a former cinema is seen in Rome. 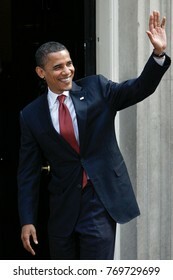 LONDON, UNITED KINGDOM- 26 JULY 2008: U.S. Democratic presidential candidate Senator Barack Obama smiles as he waves during an event in London. 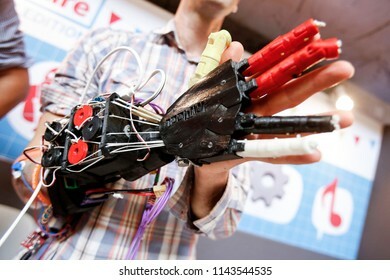 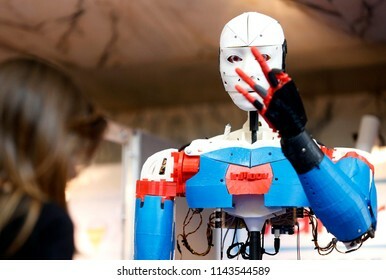 Rome, Italy - October 04 2013: A visitor tries out an InMoov bionic hand, assembled from 3-D printed parts, during the Maker Faire in Rome. 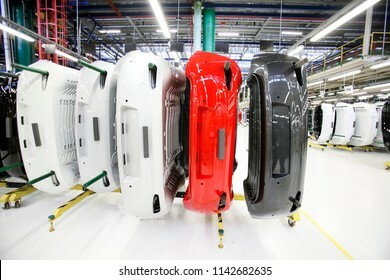 Melfi, Italy - December 20 2012: Bumpers hang on rails near the assembly line for Fiat Punto automobiles at the Fiat SpA plant in Melfi. 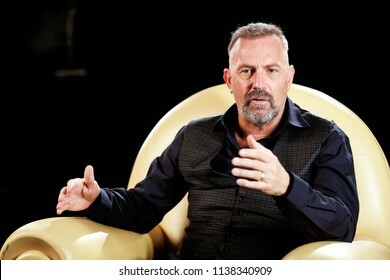 ROME, ITALY - OCTOBER 25, 2014: Actor Kevin Costner attends an interview during an event in Rome. 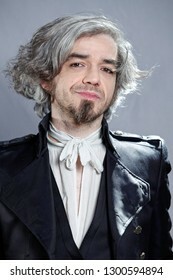 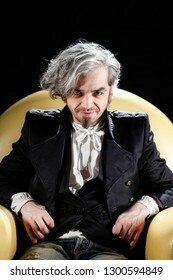 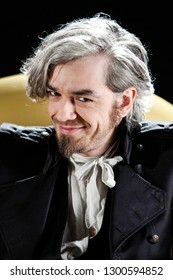 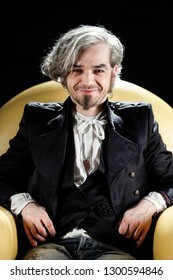 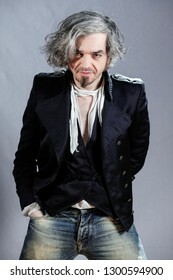 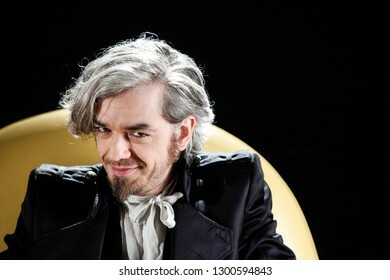 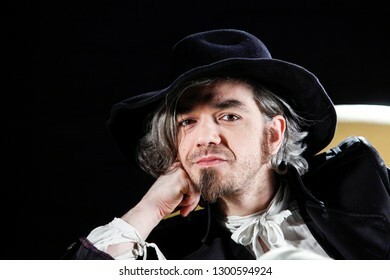 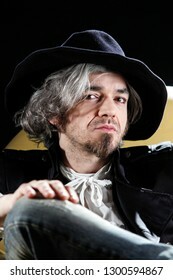 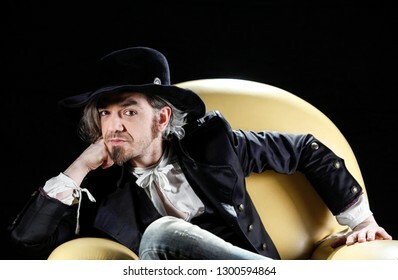 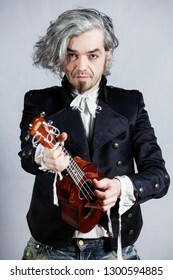 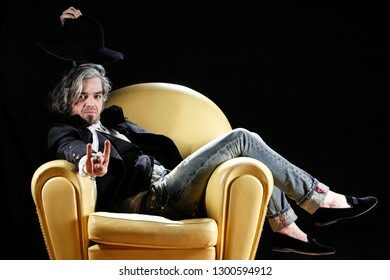 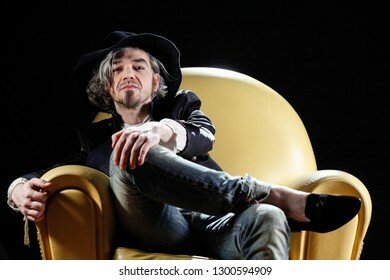 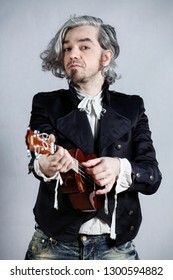 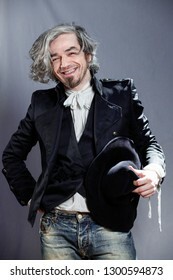 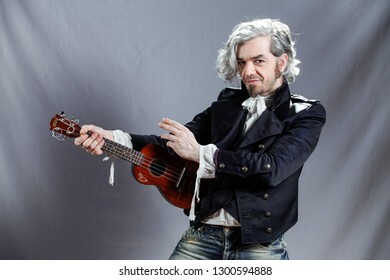 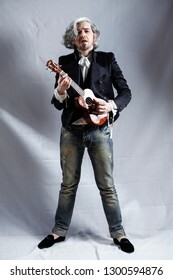 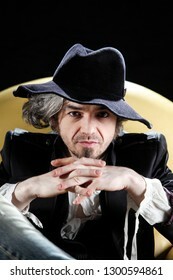 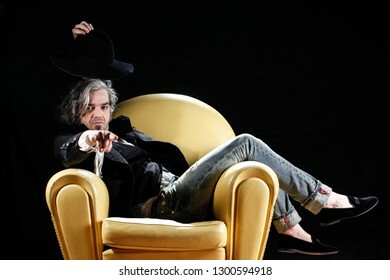 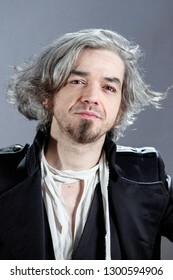 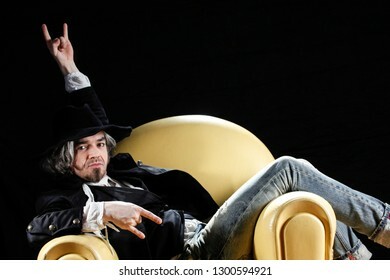 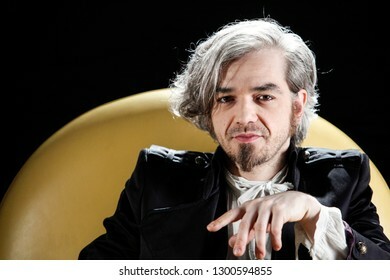 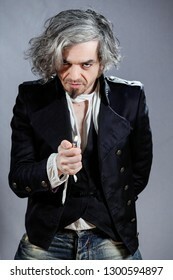 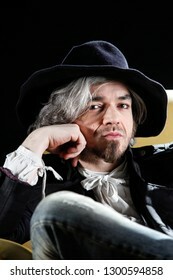 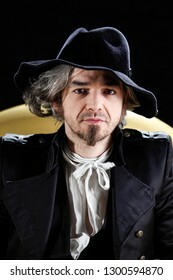 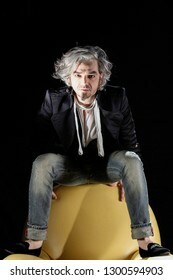 ROME, ITALY - APRIL 01, 2011: Italian singer Morgan posing for portraits in Rome. 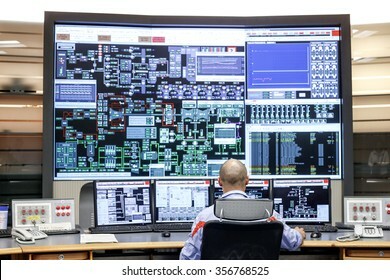 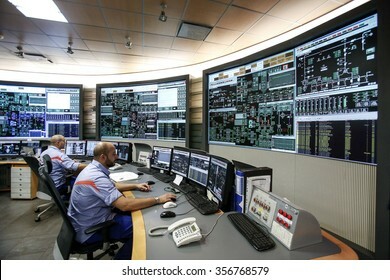 CIVITAVECCHIA, ITALY - 10 OCTOBER 2014: Employees monitoring operational data on computer monitors as they work in the control room at a thermoelectric coal-fired power station. 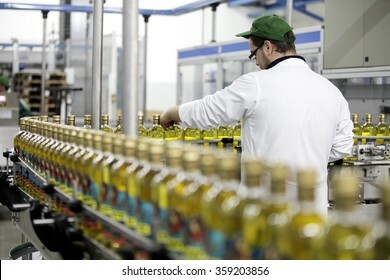 BENEVENTO, ITALY - 12 NOVEMBER 2012: An employee watches as bottles of olive oil travel along the production line inside a factory for the production of edible oils. 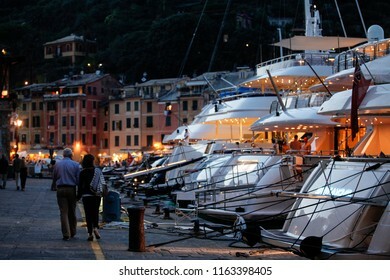 Portofino, Italy - June 30 2012: Pedestrians pass motor yachts docked at the marina in Portofino. 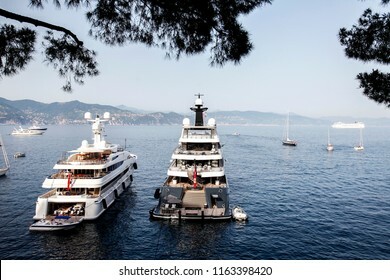 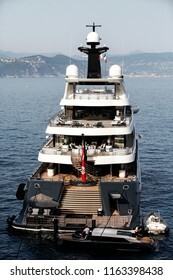 Portofino, Italy - June 29 2012: Superyachts sit anchored at sea outside Portofino. 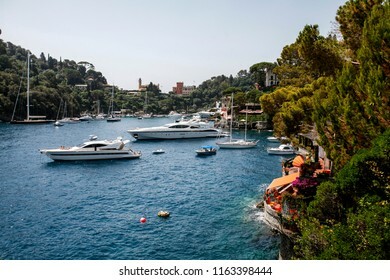 Portofino, Italy - June 30 2012: Superyachts sit anchored at sea outside Portofino. 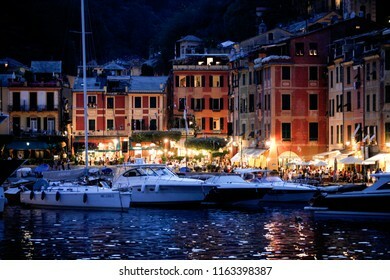 Portofino, Italy - July 01 2012: Boats and yachts sit moored in the marina in Portofino. 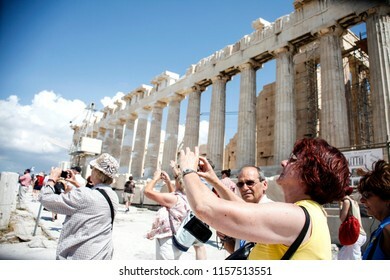 Athens, Greece - June 03 2010: Tourists visiting the ancient remains of Athens' Parthenon at the Acropolis. 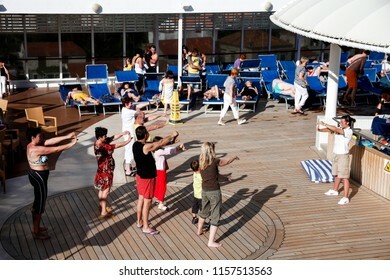 Dubrovnik, Croatia - June 01 2010: Travellers enjoying free time on board of a cruise ship as cruising in Croatia. 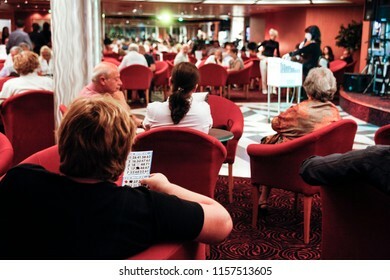 Ancona, Italy - May 30 2010: Travellers play bingo on a cruise ship. 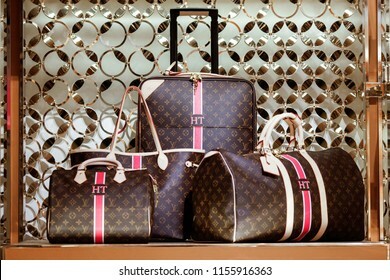 Rome, Italy - January 27 2012: Louis Vuitton bags sit on display inside the new "Etoile" store, operated by LVMH Moet Hennessy Louis Vuitton SA, in a former cinema in Rome. 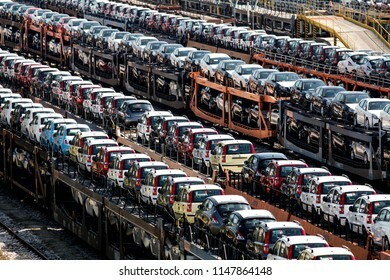 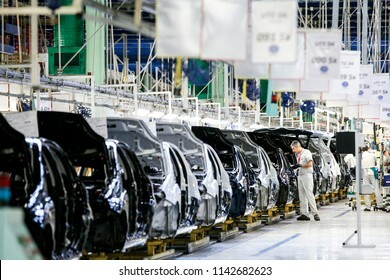 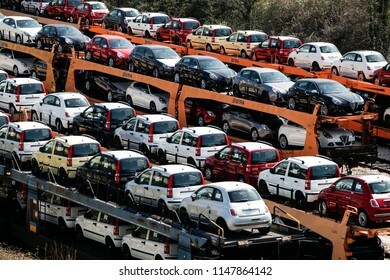 Cassino, Italy - March 22 2012: Newly-manufactured Fiat, Lancia and Alfa Romeo automobiles sit on rail freight wagons at the Fiat SpA factory in Cassino, Italy. 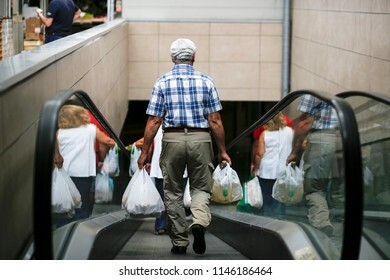 Rome, Italy - August 12 2014: Shoppers carry their purchases in plastic bags as they walk through an indoor market in Rome. 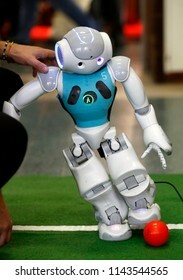 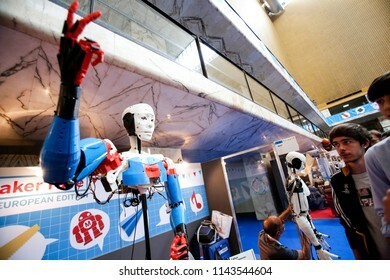 Rome, Italy - October 04 2013: Robots are displayed during the Maker Faire in Rome. 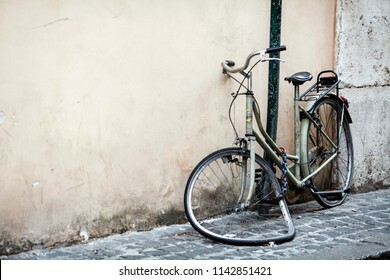 Rome, Italy - October 24 2011: A broken bicycle is seen chained along a cobbled street in Rome. 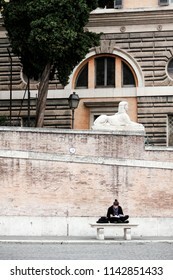 Rome, Italy - October 24 2011: A pedestrian reads a book while sitting on a marble bench in Popolo's square in Rome. 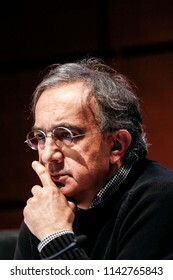 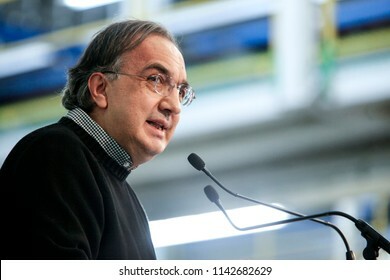 Melfi, Italy - December 20 2012: Sergio Marchionne, chief executive officer of Fiat SpA, speaks during an event at the company's assembly plant in Melfi. 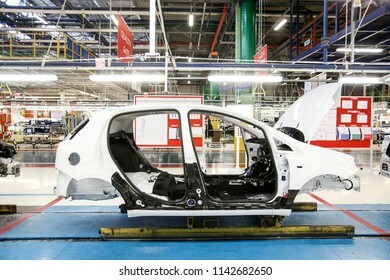 Melfi, Italy - December 20 2012: A Fiat Punto vehicle body moves along the production line during assembly at the Fiat SpA assembly plant in Melfi.